Shoppers are being lured to part with their hard-earned cash during Black Friday and Cyber Monday. But before you find yourself fighting for a new TV set ask yourself, it is worth it? 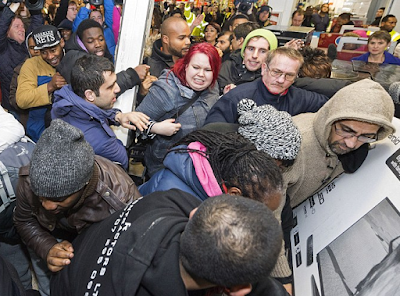 Two years ago, TV crews watched on as customers fought over cheap TVs from supermarkets. But could it have been they were cheap for a reason? The default TV platform - if you have a TV and a TV aerial connection, chance are you have automatically access to a number of digital channels for free. Next year, it will be mandatory for all Freeview TVs, regardless of screen size to be Freeview HD compatible, and this able to deal with the transition to the next generation of digital terrestrial TV coming soon. During 2017, the first frequency changes are due to start happening and by 2020, the way most Freeview channels are transmitted may be very different to now. Even now, Freeview users without a modern receiver may not be able to receive all channels available in their area. But this year, you're still likely to come across an old-spec Freeview TV being cleared from the warehouses. If you're looking for a bargain that will help you receive all available Freeview channels in your area*, look for the Freeview HD or Freeview Play logo on the box or in the product information, as shown below. Older stock may still display the old Freeview HD logo with the word "Freeview" in a red squashed rectangle. Since the Freeview HD specification was first introduced, devices have steadily become better at handing retunes, new channel additions and regional overlaps, so you may be pleasantly surprised if you haven't upgraded for a while. There are many 4K Ultra HD TVs around. But with new standards for UHD TV having been agreed last week, early adopters do run the risk of having a device that may not be that futureproof, as was the case with HD TV, and all those HD-ready TVs that couldn't do HD from Freeview without an extra box. If you want a 4K TV that will plug into a Sky Q or BT Ultra HD box, or to access Netflix's UHD service in time for the holidays, then the current 4K TVs out there should be fine for you. If you regularly read this website, you'll know about the boom in digital radio station choice and coverage. You may be thinking now's the time to get a DAB digital radio. 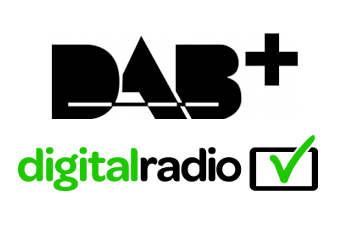 DAB+, is the new standard for digital radio. Without it, you may not be able to receive all the digital radio stations available in your area. There has been a massive increase in the number of stations using DAB+ in 2016, with services on national DAB, local DAB and hyper-local "small-scale" DAB adopting the new standard. Older and some really cheap models being flogged off may just bring you silence when you try and tune in to a DAB+ station. The green digital radio tick mark also indicates that your radio is DAB+ compatible and meets a range of specifications for an optimal experience. Want a quick and easy way to make your TV smart? The likes of Roku, Apple TV, Chromecast and Amazon Fire Sticks - so-called streaming media players - can give your TV a boost without breaking the bank. Many are simply attached to the back of your TV. You'll need a preferably unmetered connection to the internet of at least 2-3 Mbps. Many devices can simply pick up your home wi-fi signal to work. They can usually be set up in minutes. Additionally, some people who bought smart TVs or boxes just a few years ago are finding that certain apps or services are no longer supported, partly due to the preference of service providers to reduce the number of different versions of an on-demand service they have offer to different devices. Smart boxes, sticks or dongles are a cheap and easy way to get your TV connected once again to the likes of the BBC iPlayer and ITV Hub, which are practically omnipresent on most UK-sold streaming players. But what about the other services out there? How do you know if a streaming media device supports the service you want? Now TV, the no-contract live and on-demand service from Sky, provides a list of all the compatible devices that work with its service here. You can see which channels are available on Now TV here. TVPlayer offers a mix of free and pay TV channels. It has information about which devices support its service here, and you can see which channels are carried on the service here. Has promotion of royal drama series The Crown got you interested in Netflix? Find out which devices support the service here. Want to connect to Amazon Prime Video and catch-up on The Grand Tour? Amazon has a list of compatible devices here.